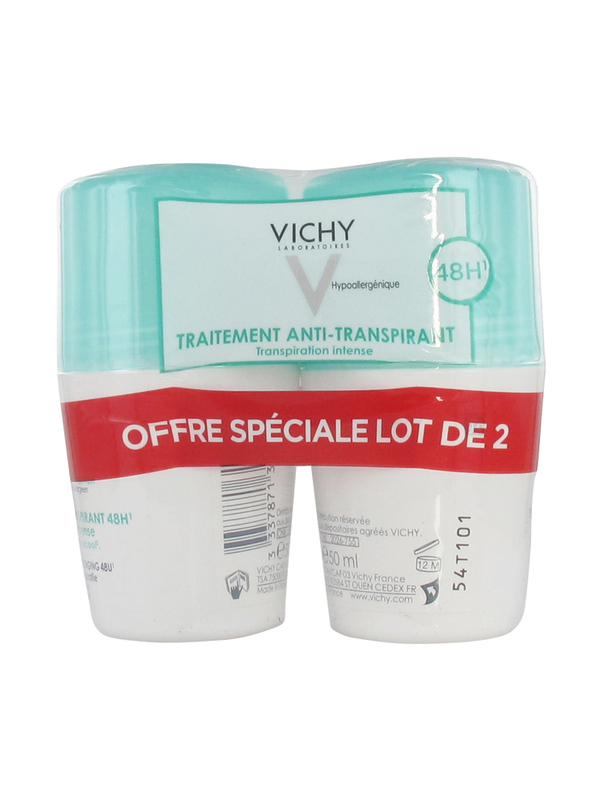 Vichy 48H Intensive Anti-perspirant Deodorant Roll-on 2 x 50ml contains a new micro-refined active ingredient for a targeted action targeted on perspiration : anti-moisture effectiveness and anti-odour 48h. Régulation continue week after week. Apply a thin layer morning and/or evening under armpits. Indication: Treatment for intense perspiration of the armpits. Aqua, Aluminum Chlorohydrate, Aluminum Sesquichlorohydrate, PPG-15 Stearyl Ether, Cetearyl Alcohol, Ceteareth-33, Dimethicone, Iodopropynyl Butylcarbamate, PEG-4 Dilaurate, PEG-4 Laurate. 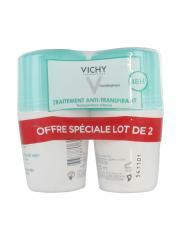 Active Ingredients: Proline Cutei, Eau Thermale de Vichy. Use it for years. Great product. I have been using this product for years. It does not irritate and whitens the area a bit.